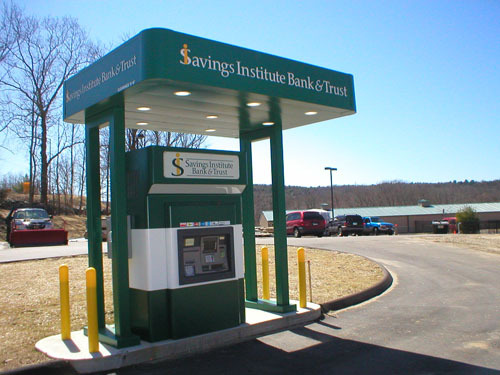 When you need to provide a secure environment for your bunker style remote ATM, our freestanding canopies offer customers protection from the elements, security lighting, and the added benefit of showcasing and reinforcing your brand. 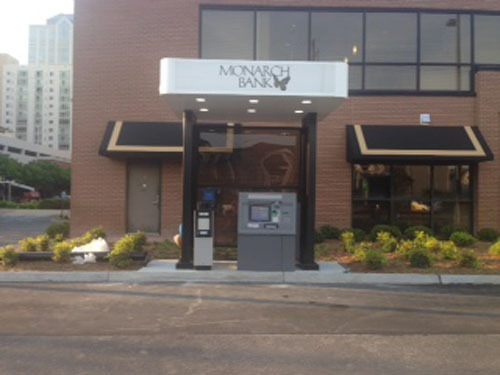 Whether you need a single post design for maximum canopy overhang within a small footprint or a larger structure to drive brand awareness, Concept Unlimited will help you develop a custom canopy to suit your needs. 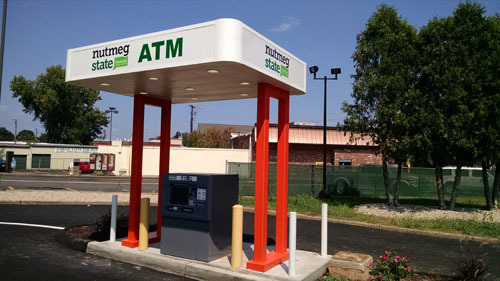 Though most of our freestanding canopies are used with ATMs, they can be customized for any setting requiring a durable, open-air protective shelter, such as a remote pharmaceutical point to point system. Contact us today for a freestanding canopy consultation. Every canopy we build incorporates principles of modular design, providing a long-term value by allowing customers to repair damaged components without replacing the entire canopy system. Over the years, we’ve also developed a reputation for durable craftsmanship with standard features such as hidden drainage systems, Matthews automotive-grade urethane paint and steel frames that can withstand hurricane force winds.